Hi, we're Maggie and Diane and we took over the running of East Surrey Jo Jingles in 2014, after working as class teachers for the previous owners for 12 and 10 years, respectively! I am a mother of three - including 19 year old twins! Aagghhh! I gained my NNEB qualification just after Noah built the Ark (well, maybe not quite that long ago!) and have worked with children, in one way or another, ever since! I have the HUGE responsibility of the admin side of the business, with nursery and some public classes to keep me sane! Its hard work but I couldn't think of a better way to spend my time because every day is different and every class leaves me with a giggle and smile! Not sure I can say the same about the admin!! Only joking HO!! Hello, I have been 'Jingling' since 2004 and it has to be one of the best jobs in the World! I have two children; my son is 24 and my daughter is 18. I play the piano and guitar - the latter comes with me every day to classes and the children love to have a little strum at the end of the class! I run the majority of our public classes and also produce the programmes for the songs we sing each week. We really do have so much fun! Why don't you get in touch and come along? We'd love to see you! Thank you ever so much for the amazing entertainment yesterday. The kids thoroughly enjoyed themselves. So glad we had you come! I have been attending music sessions at Jo Jingles with my grandchildren for eight years. The sessions in Redhill have been a highlight of my week and very enjoyable. My professional background was working with children as a speech and language therapist and advising on delayed language development. 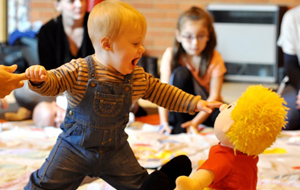 Jo Jingles promotes attention and listening skills , following instructions and actions and vocabulary development, in an informal setting. 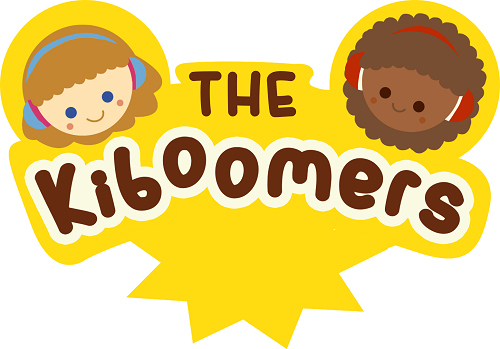 It is an opportunity for young children to socialise, while listening to music and rhymes. 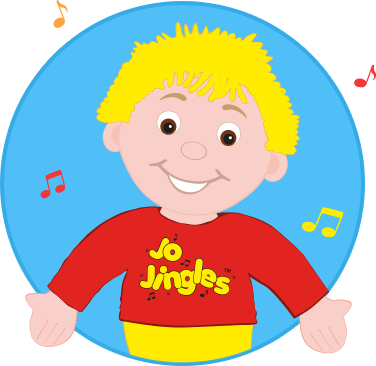 Jo Jingles gives young children an introduction to music in a supportive and friendly environment. It was a fantastic party and Diane did a fantastic job ( I can’t emphasis that enough) everyone was saying she is amazing. It was a fantastic party and Diane did a fantastic job ( I can’t emphasis that enough) everyone was saying she is amazing. Jo Jingles made Jack’s 1st party so special thank you. The time with my grandaughter at Jo Jingles is coming to a close. The time with my granddaughter at Jo Jingles is coming to a close. We have been in Maggie's classes in Redhill for about 3 years and have loved every minute. Maggie has been a fantastic teacher. Her enthusiasm, knowledge and friendship have been exceptional. She has had just the right amount of discipline for the children and has always made the adults feel part of the class. The children have learned so much early music, language, movement and social skills. I will miss my Monday Jo Jingles and wish you all every success in the future ad of course a huge "Thank you" to Maggie. 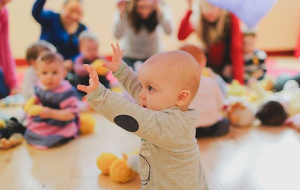 The children all look forward to the Jo Jingles sessions each week with Maggie. 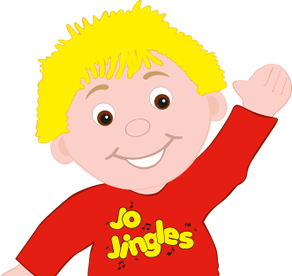 The children all look forward to the Jo Jingles sessions each week with Maggie. Maggie holds the children's attention with her gentle and engaging teaching style. The children listen so well and the older children love to share with their parents what they have been doing. I love to go and watch at the end of each term and am amazed at what they can do. 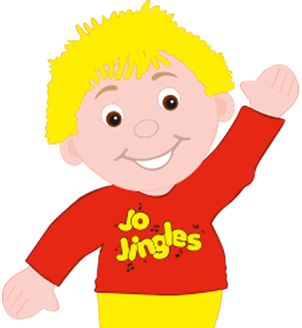 I wholeheartedly recommend Jo Jingles. I would like to take this opportunity to thank you and especially Maggie for the happy times Sophie has had at Jo Jingles. I would like to take this opportunity to thank you and especially Maggie for the happy times Sophie has had at Jo Jingles. It has been a very positive experience for her. She has loved going and I haven't broken it to her yet that she will not be going anymore but I know there will be tears when I do. She now knows so many songs off by heart and truly adores music and singing. She is a shy girl and to some extent always will be but she has gradually come out of her shell and even dared to collect instruments in by herself last week! Jo Jingles has really contributed towards this growth in her confidence. I hope my son Mathew, currently 5 months old, will have the same opportunity once he is a little older. Many thanks again, it has been a rewarding collaboration with Jo Jingles over the last two years and we are sad it must now come to an end. Please do pass on my thanks and sincere best wishes to Maggie. 3 consecutive classes for £10. New customers only. * subject to availability. T&C's apply.